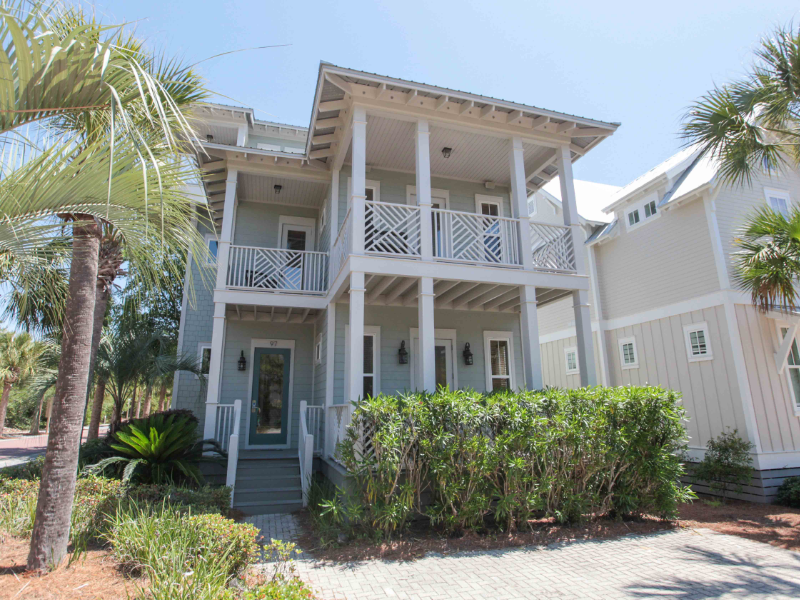 Flip Flop Daze is conveniently located in family-oriented Seacrest Beach, between Rosemary Beach and Alys Beach. There is plenty of dining, shopping and entertainment within walking or biking distance and Seaside is a short drive to the west on Scenic Highway 30A. The ground floor of Flip Flop Daze hosts a spacious living room and dining area that is ideal for family and friends to gather and watch their favorite movie or sporting event on the 55” flat screen TV. The well stocked kitchen with stainless steel appliances is perfect for preparing family meals or snacks for the beach and pool. After a long day in the sun, you can relax on the large and peaceful screen porch off the living area. The first floor also has a queen bedroom with a private bath and porch. The second floor has the remaining bedrooms, each with access to a balcony. The third floor has a wet-bar with a seating area along with a viewing balcony where you can enjoy spectacular views of Seacrest. Every day will feel like a Sundaze when you stay at Flip Flop Daze.